I'm so happy to see piles of cherries at the farmer's market: They're one of my favorite fruits for snacking on. I'm gearing up for an evening of pitting and canning cherries (a jar of cherries with simple syrup and vanilla bean is pure heaven in midwinter), but for now we're just nibbling handfuls and savoring their sweetness. 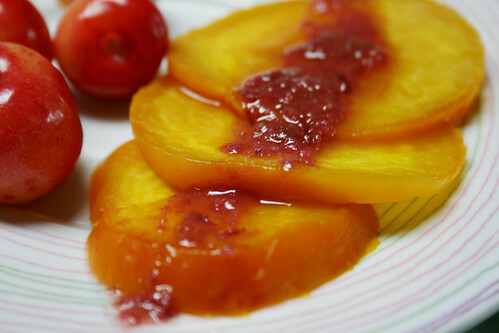 This recipe was inspired by a contest at Mango & Tomato — and to our delight, it took top honors! 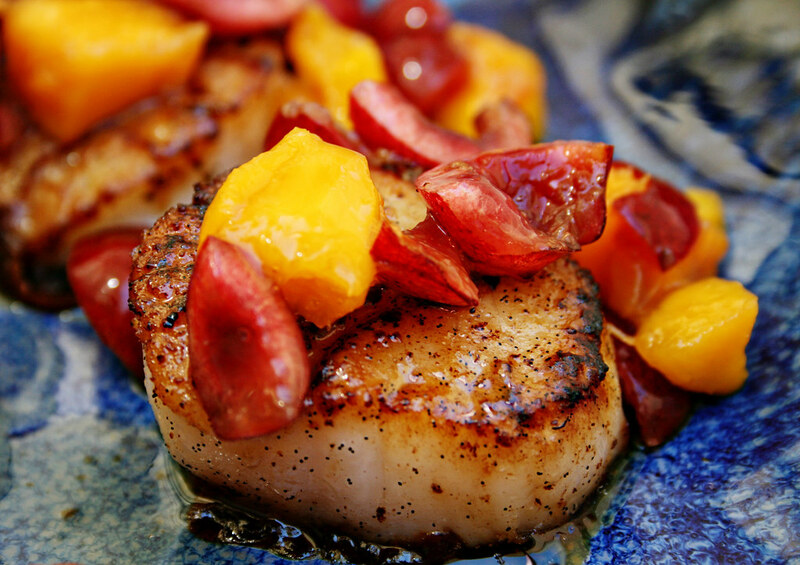 This is simple and elegant, a perfect entrée to share with friends on a gorgeous summer evening. Earthy, earnest beets get all dressed up in a cherries and balsamic vinegar — just the right touch of sweetness to maybe coax the kids to try these delicious vegetables. 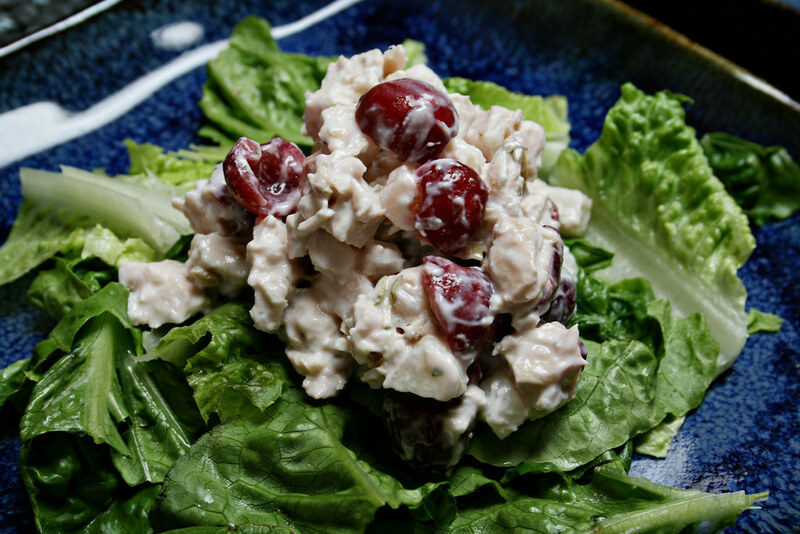 Jicama brings crunch and Greek yogurt supplies the tang in this mayo-free chicken salad. Sweet cherries are the vibrant finishing touch. Delicious in a sandwich, on a bed of greens, or shoveled with a spoon. Did your mother make molded puddings like these back in the day? Mine did too. But Anna's updated version takes this comforting treat to a whole new level, using coconut milk and an infusion of fruity flavor. Topping it all off, of course: a wonderful cherry sauce.